​Tennessee County Clerks ask and collect an additional $1.00 from residents when they purchase their auto tags. 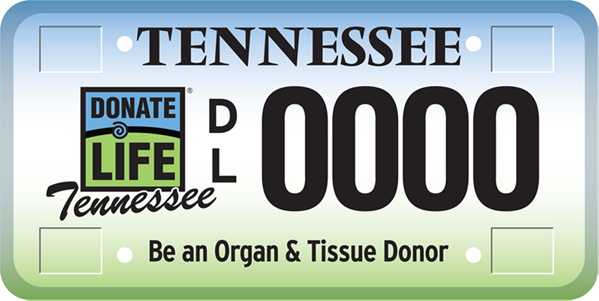 These dollars are collected by the county clerks throughout the state and are distributed by the Tennessee County Clerk Organ Donor Awareness Foundation to the two Organ Procurement Organizations in the state: Mid-South Transplant Foundation, and Tennessee Donor Services for the purpose of organ donor awareness education. Organ donor awareness t-shirts such as the one pictured above are on sale at the Weakley County Clerk's Office in the courthouse in Dresden for only $15.00.